Minimum $75 order required for delivery $15 Delivery Fee. 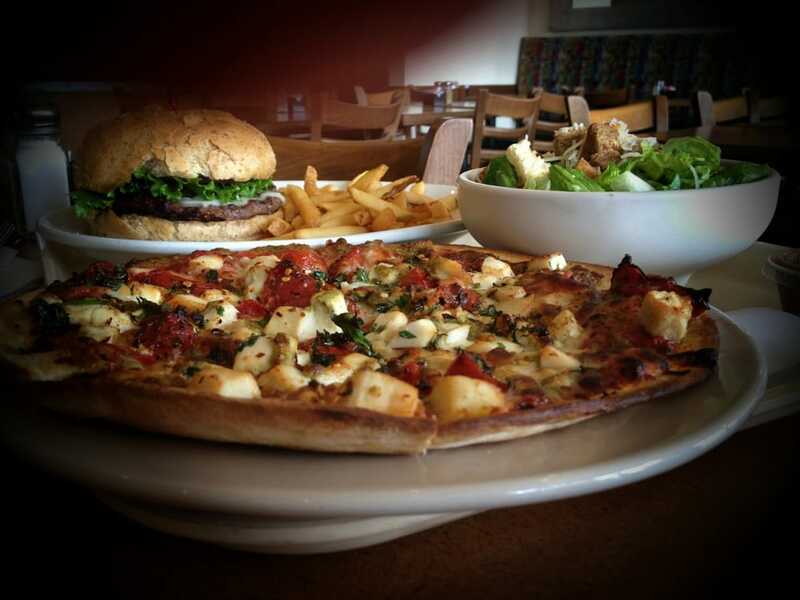 Fast casual place with good food. 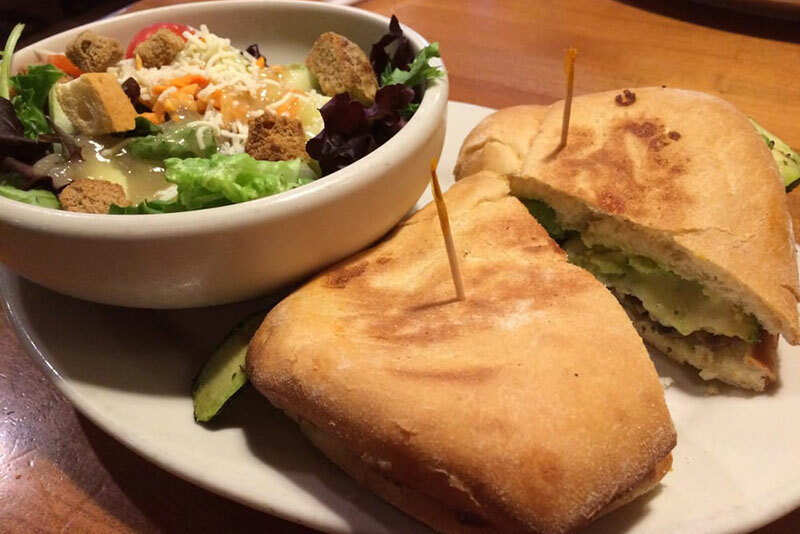 Salads are a full meal. The Maple with chicken is fresh and delicious. Greens with cranberries, walnuts, Mandarin oranges, pears, goat cheese and delicious maple vinegarette. This is the place to be if you want a healthy reasonably price lunch. Urban Eatz is conveniently located down the street from my job which is awesome. Love this place! Definitely my go to for lunch when I work. Delicious, consistent, well priced. 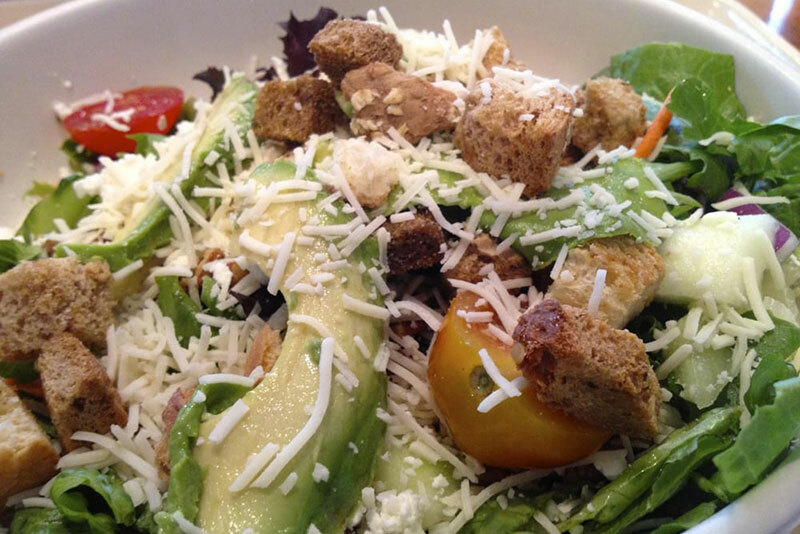 A blend of and mixed greens with tomatoes, carrots, red onion, cucumber, feta, parmesan, spiced pecans, and croutons in our balsamic vinaigrette. 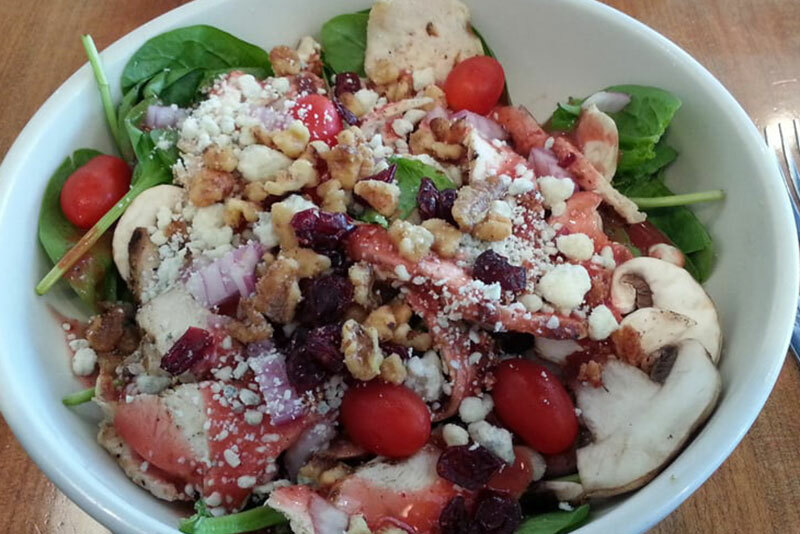 Fresh baby spinach, cherry tomatoes, mushrooms, red onion, craisins, candied walnuts, crumbled bacon, and bleu cheese crumbles tossed in our balsamic vinaigrette. Our signature salad. 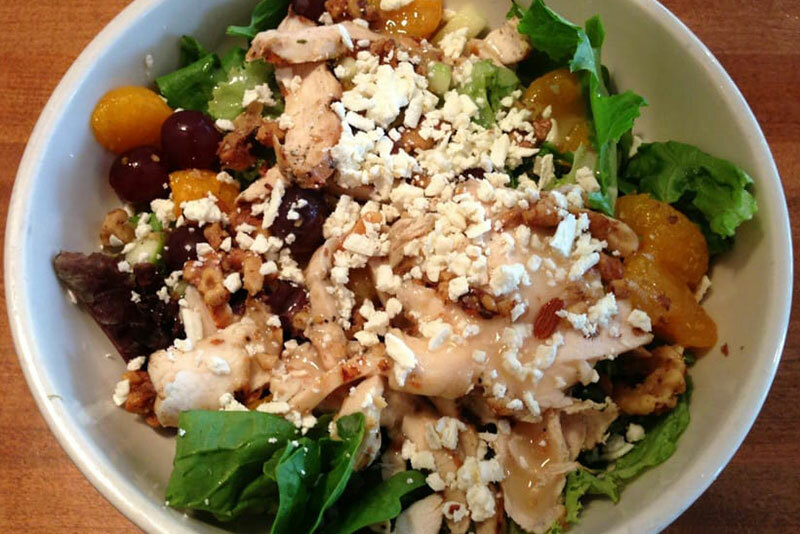 A delicious combination of mixed greens, apples, mandarin oranges, red grapes, candied walnuts, and feta in our sweet maple vinaigrette. Sliced grilled chicken over mixed greens with cherry tomatoes, crumbled bacon, spiced pecans, and parmesan in our creamy ranch dressing. Grilled chicken and our delicious pasta salad over mixed greens, roasted red peppers, black olives, toasted pinenuts, parmesan, and fresh mozzarella with our house vinaigrette. Mixed greens with grilled chicken, avocado, roasted corn, black beans, cherry tomatoes, cucumbers, tortilla strips, and pepper jack cheese in our unique Southwestern vinaigrette. Crispy FRIED chicken over chopped romaine with mandarin oranges, carrots, cucumber, green onion, edamame beans, toasted almonds and crispy garlic wontons in our sesame-ginger vinaigrette. 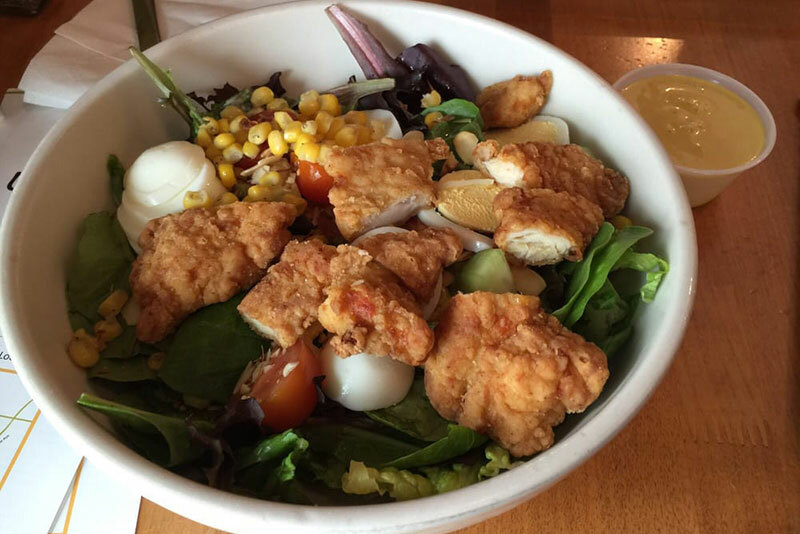 Crispy FRIED chicken tendeloins, mixed greens, cucumber, cherry tomatoes, roasted corn, hard boiled egg and toasted almonds with honey mustard dressing. A delicious blend of grilled chicken, mayo, celery, sliced almonds, craisins, and apples with lettuce and tomato on wheat bread. Shaved honey baked ham, melted Swiss, Dijon mustard, lettuce, and tomato on toasted ciabatta bread. Oven roasted turkey, ham, crisp bacon, melted cheddar cheese, tomato, lettuce, and mayo on toasted ciabatta bread. 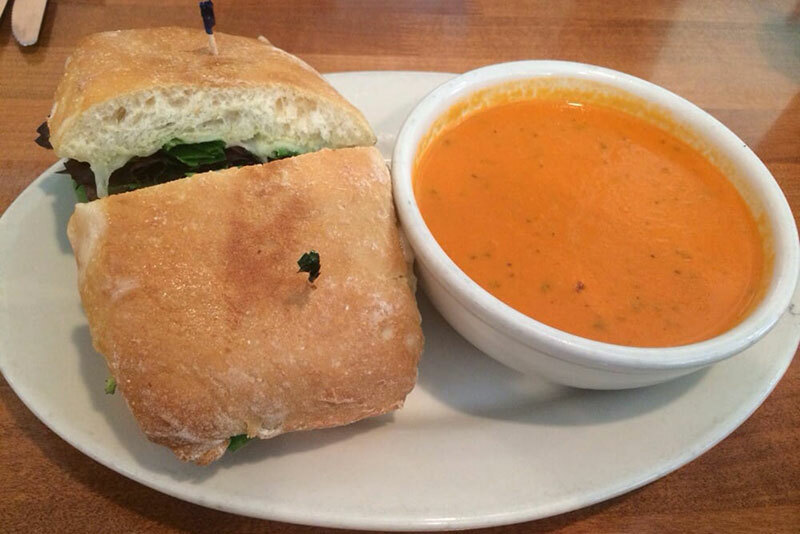 Served warm on toasted ciabatta bread with roasted red peppers and tomatoes, avocado, grilled zucchini, provolone, and our pesto cream cheese spread. Smothered in our homemade jalapeno BBQ sauce, cheddar, crisp bacon, and grilled onions. 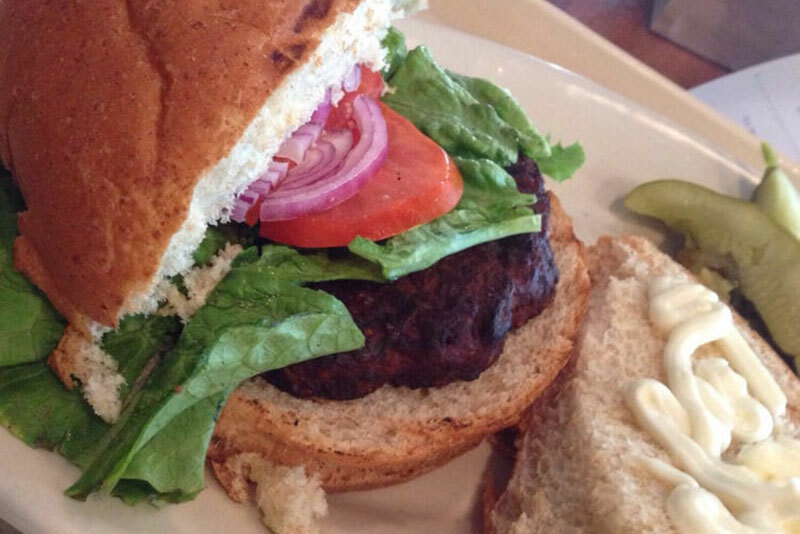 Our own turkey patty recipe brushed with olive oil and grilled to perfection! Marinated and served on a toasted wheat bun. A delicious alternative grilled and brushed with olive oil. Fresh tomato sauce, mozzarella and fontina cheeses, topped with a blend of chopped tomatoes, fresh garlic, herbs and basil. Fresh tomato sauce, mozzarella and fontina cheeses, roasted tomatoes, roasted red peppers, wild mushrooms, baby spinach, and red onion. Fresh tomato sauce, mozzarella and fontina cheeses, honey baked sliced ham, and fresh pineapple. A Texas favorite! 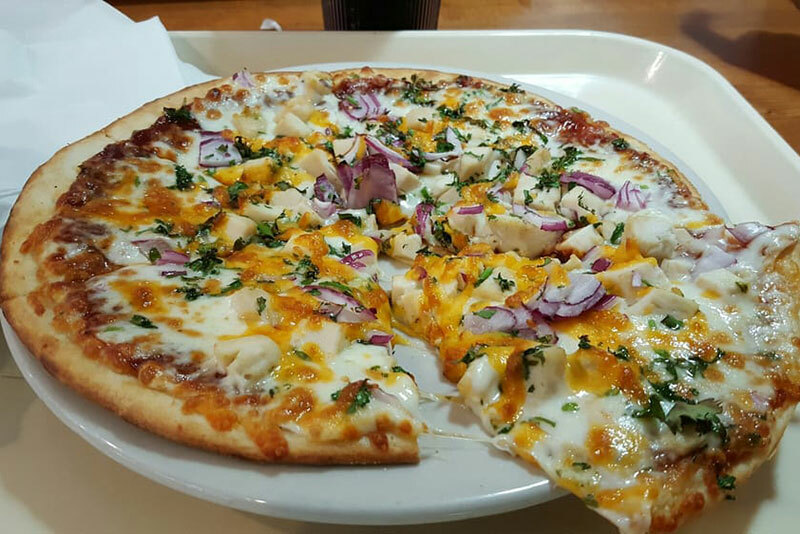 BBQ Sauce, mozzarella and fontina cheeses, grilled chicken, red onion, cilantro, and cheddar. Fresh tomato sauce, mozzarella and fontina cheeses, with hand pinched spicy sausage, roasted red peppers, and red onion. Fresh tomato sauce, mozzarella and fontina cheeses, pepperoni, hand pinched spicy sausage, and crumbled bacon. 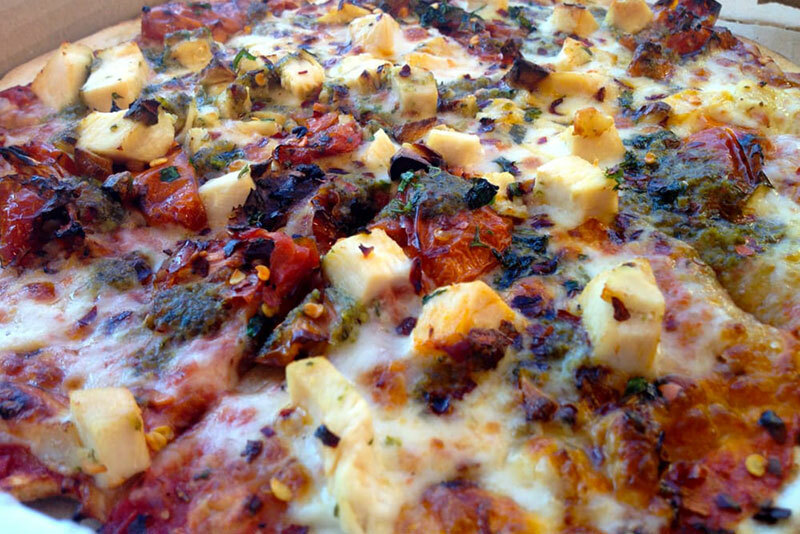 Fresh tomato sauce, mozzarella and fontina cheeses, grilled chicken, roasted tomatoes and garlic, cilantro, crushed red pepper, and drizzled with pesto. Mini Pizza – tomato sauce and mozzarella. Add pepperoni if you want!